Hugh Hewitt: You have stayed above scandal. Thank you for that, because so many Christian pastors, you know what happens when this happens, and we could name 30 of them, the damage they do. 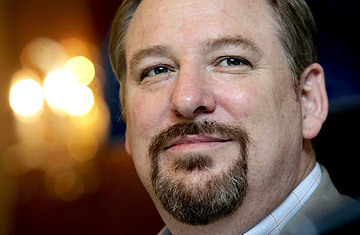 Rick Warren: Yeah, I keep a list. I guess an interview that isn't done by Hugh Hewitt probably would have followed up on why he needs to be kept from being alone with women or himself... but I think I'm happier not knowing. @6.54 I don't think lying is one of the ten commandments. I think he is in the clear. @6.54: Is this like Bill Clinton in the primary, forgetting that people can easily look up things that they did or didn't do? @Nimsofa: Isn't bearing false witness supposed to be about lying? I'm no bible expert but I thought that was one of its meanings. @JJ As a theologian with a Phd, I must disagree. It gets a bit iffy after "You shall not". Really could go either way. Since I was confused about whether the pope recently made up ten new commandments or just seven new deadly sins, I looked up the text on Wikipedia. Turns out: complicated as all balls. There are apparently at least fourteen commandments. But the article does claim that lying is forbidden by the "don't bear false witness against your neighbor" commandment. What the hell? What the hell to all of this.